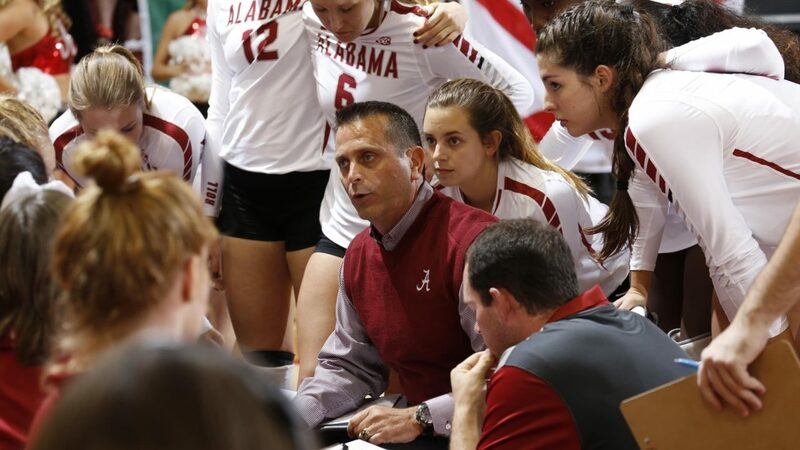 TUSCALOOSA, Ala. – Alabama volleyball’s Ed Allen has decided to resign from his head coaching position, effective immediately. Assistant coach Ryan Freeburg will serve as the interim head coach for the duration of the season. Under Allen’s direction, the Tide posted three 20-win seasons and captured its first NCAA tournament victory in 2014. That year, Alabama also set the school record for wins in a season with 26. VolleyMob Note: Alabama is 18-10 in 2018, including a 5-9 mark in SEC play good for eighth place. The Crimson Tide began the season with a 12-1 non-conference record. Including Saturday’s 3-0 loss at Kentucky, Alabama has lost four matches in a row. Remaining on the slate are road matches vs. Mississippi State and Ole Miss and home matches against Texas A&M and Arkansas.